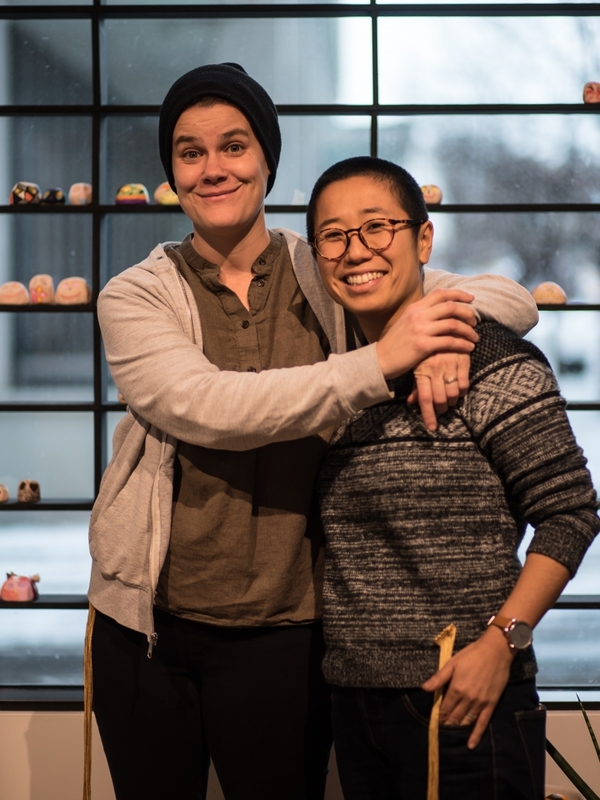 Sunday, February 3, 1 – 3 p.m.
Artists Carrie Elizabeth Thompson and Aki Shibata will lead a closing celebration for their engaging project in the museum’s Wide Open Studio. Visitors who decorated one of the 1000+ clay figures made by the duo are invited to come back by the M’s Center for Creativity this Sunday afternoon. Pick up your figure(s) and take them home, and help us celebrate the culmination of this wildly successful community making project. Let’s make a party of it!